Microsoft wants, needs you to be interested enough to buy a Windows Phone and with the 435 its set that bar for entry staggeringly low yet miraculously kept the user experience unfathomably high. The Lumia 435 is a must have for any first-time smartphone user, those prone to breaking or losing their handset or those simply after a functional low-cost second device. Microsoft Lumia 435 gives you a lot for your money. It's a dinky phone with a decent screen, a dual-core processor and plenty of memory. The cameras are very poor and the battery life not much better, but it's good as a first phone or as a spare. If you want to pay a low price for your next smartphone, you will have to live with some restrictions. Nevertheless, the performance of the Lumia 435 is not too bad compared with the similarly priced rivals, especially since Windows Phone 8.1 is running much smoother on weak devices than Android. The Microsoft Lumia 435 is the best phone you can buy under £50, even accepting the tired old Windows Phone apps argument.For first-time or light users it wipes the floor with similarly priced Android phones. The story of the Microsoft Lumia 435 is one of sacrifice. Coming in with a sub-par screen, a small battery and poor camera, this phone isn't going to please the high-end crowd. 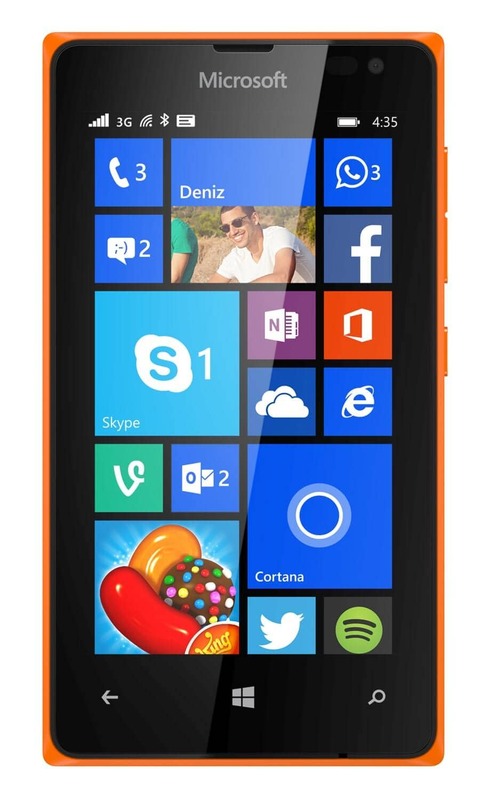 We can only recommend the Microsoft Lumia 435 phone if you find the Windows 8.1 OS preferable to Android. Otherwise stronger alternatives can be found for the money. The Microsoft Lumia 435 is a basic, budget phone, and offers a cut-price introduction to the Windows Phone experience. The trouble is, it doesn't cost much more to get something like the Motorola Moto E with significantly better screen, processor and camera. Our conclusions about the Lumia 435 were mixed. If you're on a strict budget, it'll allow you basic social networking, emailing, casual gaming and mobile web-browsing. But it was very limited when it came to multimedia. Every day, we search through thousands of tariffs and offers from UK online retailers to find the best Microsoft Lumia 435 deals and contracts across a selection of price points and needs. Select 'Pay Monthly' if you're looking to get the Microsoft Lumia 435 as part of a monthly contract with minutes, data and texts. Alternatively, choose 'No Contract' if you prefer to buy the Microsoft Lumia 435 SIM Free or on Pay as You Go. Finding the perfect deal is easy. Just use the sliders to filter tariffs for minutes, data, monthly cost and upfront cost. You can also filter by network and retailer to find the best Microsoft Lumia 435 deal for you! The cheapest contract price in this category is cheaper than buying the Microsoft Lumia 435 SIM Free and a comparable SIM Only tariff by . You could save on the cheapest contract price in this category by buying the Microsoft Lumia 435 SIM Free and a comparable SIM Only tariff separately.